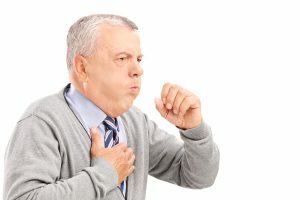 If you require cough treatment and you live in or near The Woodlands, Texas, there’s no reason that you should have to wait days to get an appointment with your primary care physician. Simply visit Davam Urgent Care at your convenience to get the quality care you deserve. Our facility is staffed with board-certified medical providers. We will provide you with a comprehensive examination to diagnose the cause of your cough. Along with diagnosing the cause of your cough, we will also offer a corresponding treatment plan. Our office is open daily from 8 a.m. to 9 p.m., so you can get the treatment you need without having to miss school or work. We accept most insurance plans and offer upfront, prompt pay pricing for uninsured patients. We can provide in-house diagnostic tests, such as X-rays and lab tests, so you won’t have to make an additional appointment at an offsite facility. Of course, cough treatment is only one of the many services we can provide at our facility. We routinely treat all types of non-life-threatening injuries and illnesses, including sinus infections, bronchitis, bone fractures, and lacerations. For cough treatment from an experienced medical provider in The Woodlands, TX, visit Davam Urgent Care today. No appointment is required. Walk-ins are welcome. You can also sign in now using our online check-in system to potentially save time.